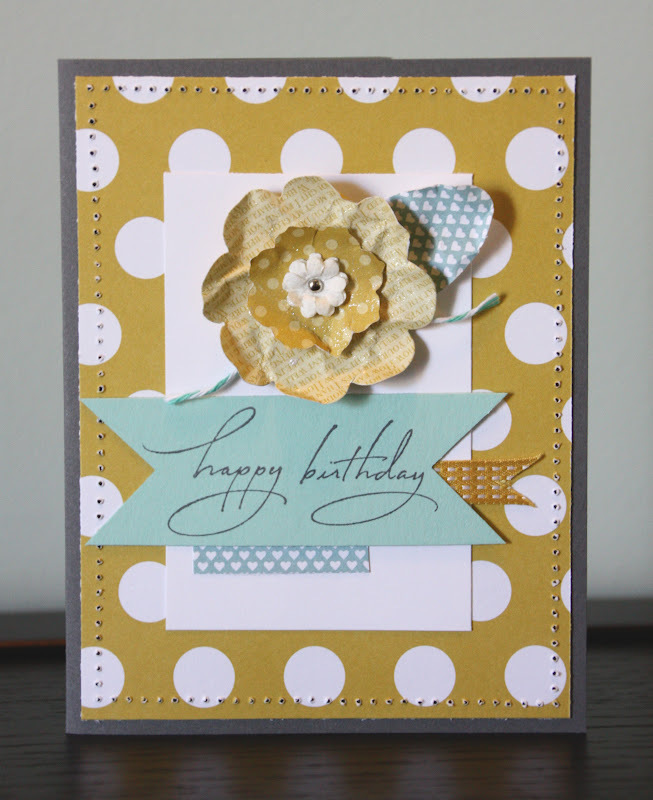 I have a friend who loves grey and yellow together as much as I do, so I made this card specifically with her in mind. I really love the way Basic Grey, Pool Party & Summer Starfruit look together! 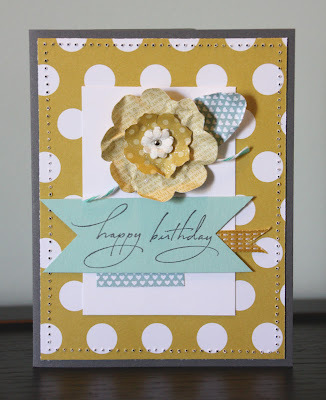 All the flowers are made using the Floral Frames Framelits dies, with paper daisies in the middle. I sprayed all the flowers and the envelope with Silver Foil smooch spritz. 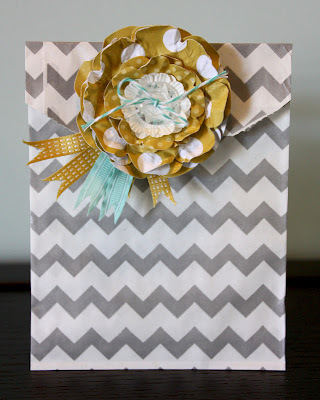 To go with the card I made this cute embellished envelope.